Late Deji Tinubu goes home on Tuesday – Royal Times of Nigeria. 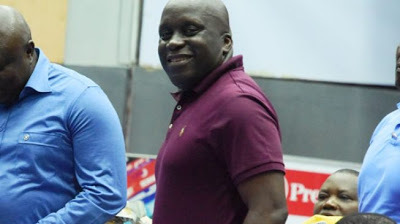 Deji Tinubu, the Special Adviser on Commerce, Industry and Cooperatives to Lagos State Governor, Akinwunmi Ambode, who slumped and died last Thursday during a novelty football match in Epe at the age of 52 will be laid to rest on Tuesday. Funeral rites for the late Tinubu began on Sunday morning with Islamic prayers at his residence at Isiola Oyekan close, off Kofo Abayomi street,Victoria Island, Lagos. It was followed in the evening at the Indoor Sports Hall of the Teslim Balogun stadium, Surulere by a candle light procession and night of tributes organised by the Lagos state sports commission and the sports family. The rites will continue today with service of songs at the Redeem Christian Church of God (RCCG),City of David, Victoria Island, Lagos at 5.00pm while there will be lying-in-state at the same venue at 9.30am on Tuesday with the funeral service at 10.00am also at the same venue. Tinubu will be committed to mother earth immediately at the funeral service at the Vaults and Gardens, Ikoyi, Lagos.